Today’s post is from Mike Dearington, an associate at Arent Fox LLP in Washington, D.C. Dearington previously authored several FCPA Professor guest posts as a law student regarding the prosecution of corrupt foreign officials. (see here, here, here, here, and here). 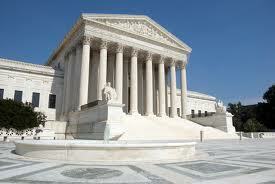 Last year, however, the Supreme Court decided a Hobbs Act case that may call all that into question. In Ocasio v. United States, 136 S. Ct. 1423, 1427 (2016), the Court held that, under “age-old principles of conspiracy law,” a police officer could conspire with shop owners to extort those very same shop owners in violation of the Hobbs Act. The corollary is that a shop owner can, in theory, conspire to extort himself. If a shop owner can conspire to extort himself, why can’t a bribe-taking foreign official conspire to pay himself bribes in violation of the FCPA? In an article I recently published with the Washington & Lee Law Review Online, I posit that Ocasio may open the door for federal prosecutors to charge bribe-taking foreign officials with conspiracy to violate the FCPA, contrary to the Fifth Circuit’s decision in Castle. See Michael F. Dearington, Ocasio v. United States: The Supreme Court’s Sudden Expansion of Conspiracy Liability (And Why Bribe-Taking Foreign Officials Should Take Note), 74 Wash. & Lee L. Rev. Online 204 (2017) (available here).